Educational Qualifications M.Sc. (Technology) from the Banaras Hindu University, he worked as a Scientist with the Council of Scientific and Industrial Research, New Delhi. Committee on Railway Reservations and Bookings, 1972 -1976. The Jury for Dr. Ambedkar International Award for Social Change. The People's Union for Civil Liberties and Democratic Rights in 1976. He held prominent offices in the Parliamentary and Organisational wings of Congress Party and later the Janata Party and the Janata Dal. He was a member of the Executive Council, for several years, of the Institute for Defence Studies and Analyses. 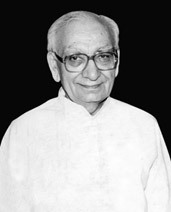 Vice-President of India and ex-officio Chairman, Rajya Sabha from 21.8.1997 to 27.7.2002.